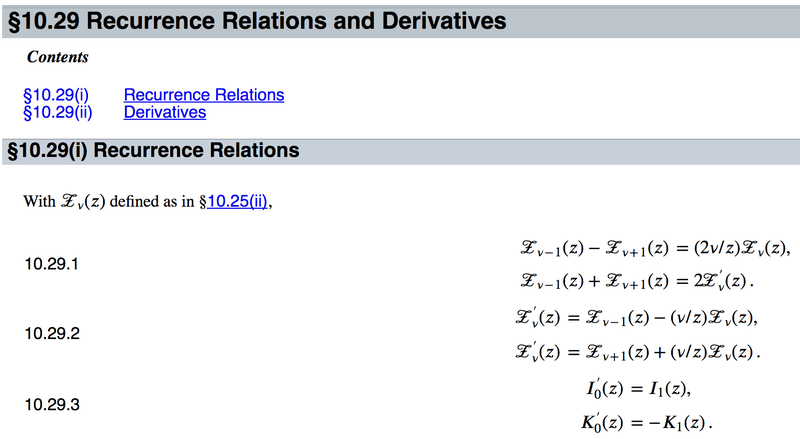 Digital Library of Mathematical Functions. In my December 22 post, I discussed the Handbook of Mathematical Functions with Formulas, Graphs, and Mathematical Tables, by Abramowitz and Stegun. That post ended with “NIST (the National Institutes of Standards and Technology) also maintains an updated electronic math handbook at http://dlmf.nist.gov.” Guess what. The February issue of Physics Today contains a fascinating article by Barry Schneider, Bruce Miller, and Bonita Saunders about NIST’s handbook: the Digital Library of Mathematical Functions. One classic scientific reference that the revolution [in online information] has radically affected is the Handbook of Mathematical Functions, familiarly known as A+S, edited by Milton Abramowitz and Irene Stegun. In this article we discuss how A+S was transformed into an online 21st-century resource known as the Digital Library of Mathematical Functions, or DLMF, and how that new, modern resource makes far more information available to users in ways that are quite different from the past. The DLMF also contains far more material—in many cases updated—than does A+S. I'm from Missouri (well, at least my dad is) so you have to show me. 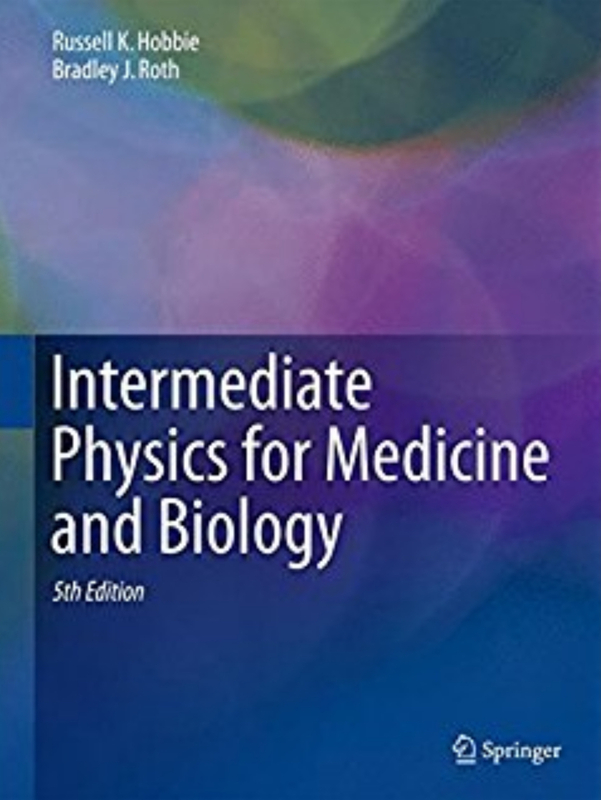 I decided to test if DLMF is useful for readers of Intermediate Physics for Medicine and Biology. Homework Problem 30 in Chapter 7 introduces the modified Bessel functions In and Kn when discussing Clark and Plonsey’s solution for the extracellular potential produced by a nerve axon. Students may not know how modified Bessel functions behave, so I wondered if DLMF included plots of them. It sure did; In color! Derivatives of modified Bessel functions are needed too. Are they there? Yes. Problem 16 in Chapter 8 of IPMB extends Clark and Plonsey’s analysis by calculating the magnetic field produced by a single axon. That calculation needs integrals of modified Bessel functions, and I found them in DLMF too. Finally, the crucial test. My June 12, 2009 post told the story of how I calculated the magnetic field of an axon in two ways: using the law of Biot and Savart and Ampere’s law. The two results didn’t look equivalent until I found a Wronskian relating modified Bessel functions. Could I find that Wronskian in DLMF? Easy! DLMF not only passes all my tests, but I give it an A+. We invite readers to explore the library: Hover the mouse over intriguing objects, symbols, and graphics to see behind the scenes. Open the info boxes to see what other possibly useful data may be available. We believe that the library will prove as useful to scientists and engineers of today and tomorrow as A+S has been since 1964. I’m a scientist of the past, so I’m keeping my paper copy of Abramowitz and Stegun; I love the feel of the pages as I thumb through then, and I even like the smell of it. But readers of IPMB are scientists of the future, and for them I recommend NIST’s Digital Library of Mathematical Functions. By the way, I spent an inordinate amount of time trying to get the ampersand symbol to appear correctly in this blog post. The Physics today article uses "A&S", not "A+S". But the blog software keeps changing "&" to "&". I tried to use "&" in the html window, but no luck. Any suggestions would be appreciated. In the comments, the software changed "&-a-m-p-;" (without hyphens) to "&". In the blog text, it changes "&" to "&-a-m-p-;"?!? !